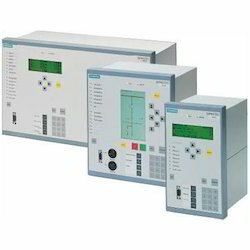 Supplier & Trader of Siemens Relay. Our product range also comprises of Programmable Logic Controller, Control Equipment and Siemens AC Drive. In order to maintain the standard of quality offered, the range of Siemens Relay made available by us in the market, is manufactured as per the set industry norms and guidelines. Making of this range is commenced utilizing the finest raw materials and modern machines. This ensures the product's performance and longer service life. In addition to this, the offered range is known to be marked at the most reasonable rate possible. Looking for Siemens Relay ?